Tipard DVD ripper can help you convert any DVD to iPad MPEG-4, H.264/MPEG-4 AVC, MOV, M4V formats. Also you are allowed to extract audio and convert DVD to AAC, MP3, WAV, AIFF, M4A audio formats. 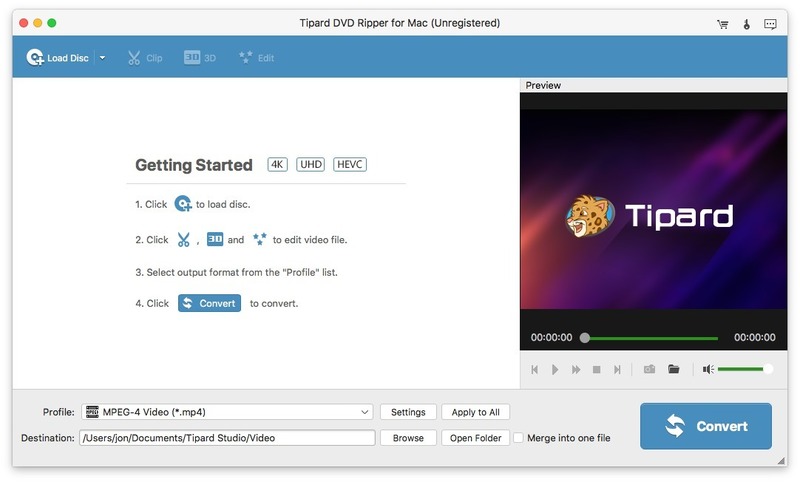 Tipard DVD to iPad Converter for Mac supports many portable devices, such as iPad, iPod, iPhone, Apple TV, etc.